With the Lake Country Rotary Extensions Kit, Lake Country has now given you the opportunity to extend the reach of your rotary polisher! 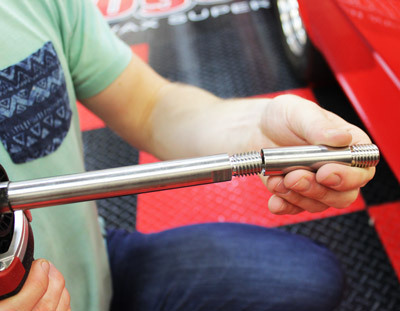 Including a 3 and 6 inch stainless steel rotary extension piece, the Lake country Rotary Extensions Kit allows you to fully correct and polish even the hardest to reach areas. Each Rotary Extension has a male and female end with a 5/8 inch thread and will fit most rotary backing plates. Trying to perfectly polish those tight areas like a-pillars or complex body panels just isn’t possible if you don’t have the right tools. And maybe you already have a rotary backing plate extension tool, but what if an extra 2 inches isn’t enough? Then you need the Lake Country Rotary Extensions Kit! 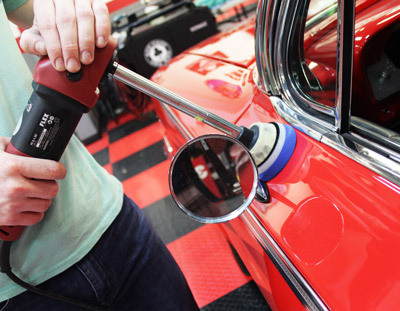 Lake Country Rotary Extensions Kit allows you to use your rotary polisher in even the tighest areas! Use the Lake Country Rotary Extensions with any standard rotary backing plate that uses a 5/8” thread and you’ll have access to every inch of paint, metal, glass, and plastic on your car!